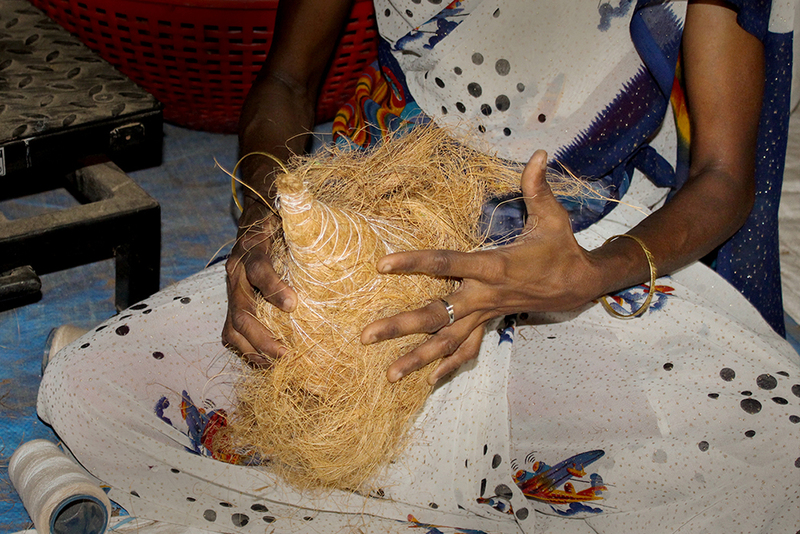 The coconut fibers are used to make coconut coir nest. 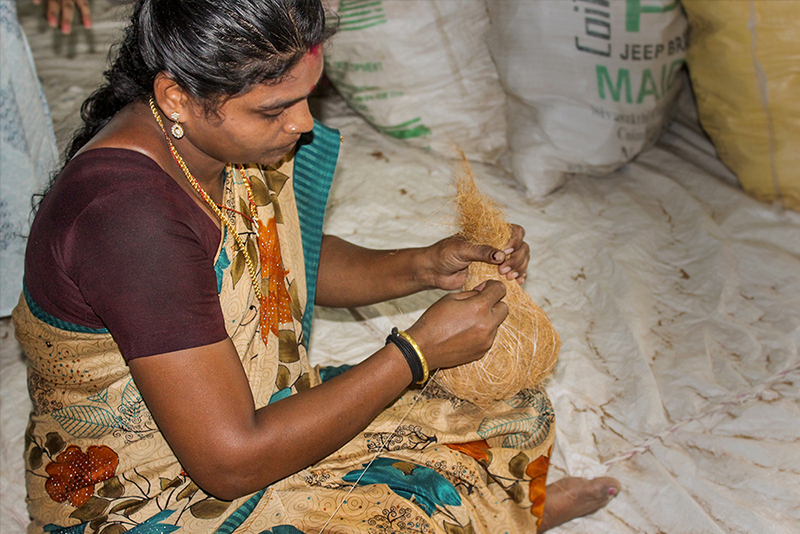 Coir fibers are categorized in two ways. 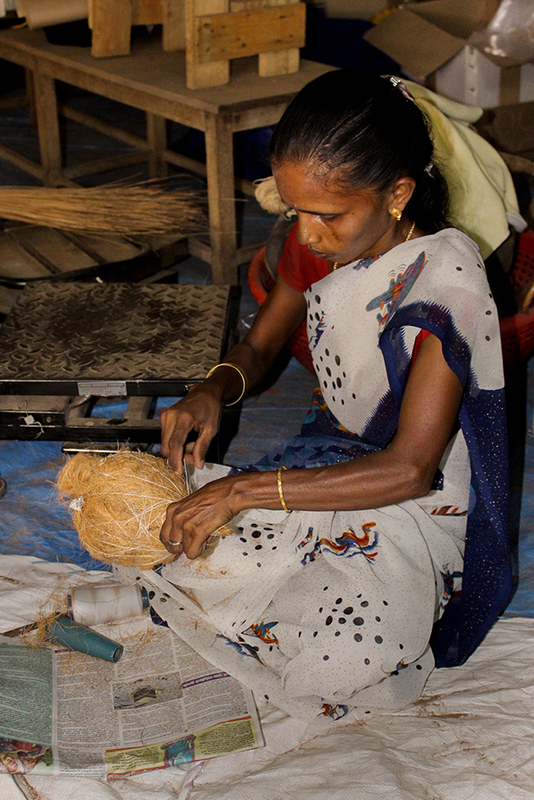 When coconut fiber is extracted from matured coconuts. They are naturally brown in color having a strong and thick nature and good abrasion resistance. This fiber is called brown fiber. 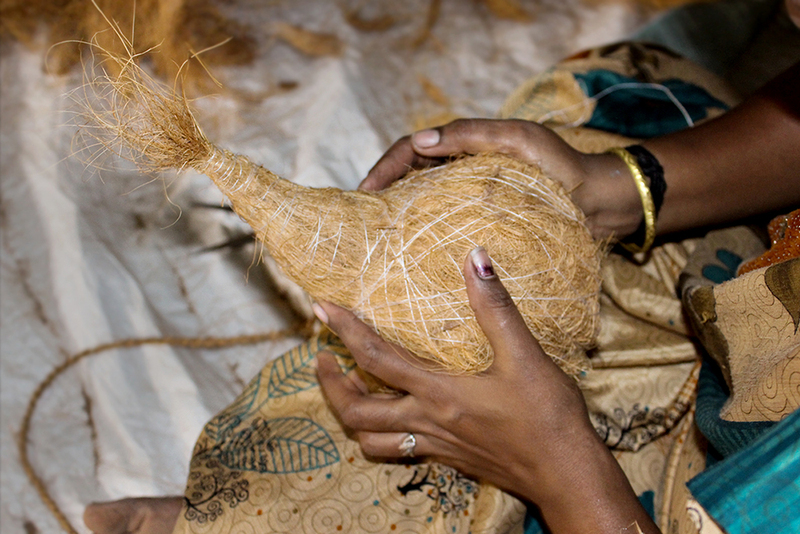 When coconut fiber is extracted from immature coconuts. They are naturally white in color having smooth and fine soft touch properties and it is also weaker than the brown fiber. This fiber is called white fiber. 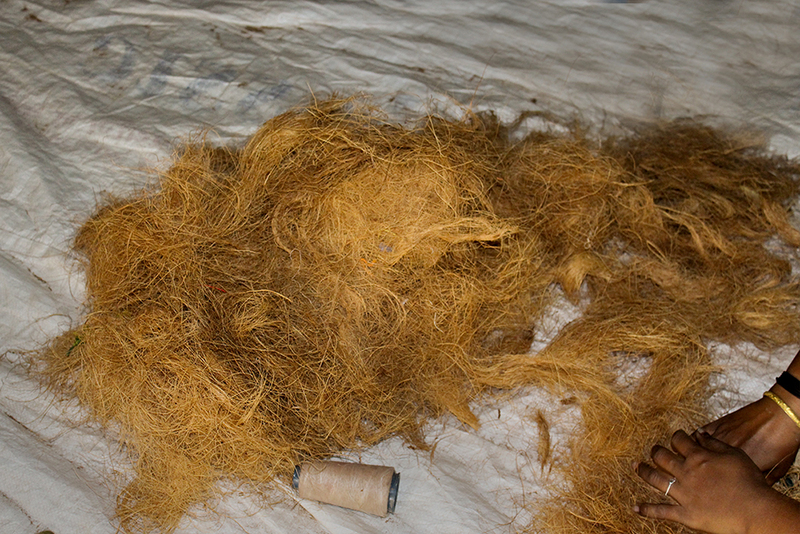 The brown fiber is used to make nest. 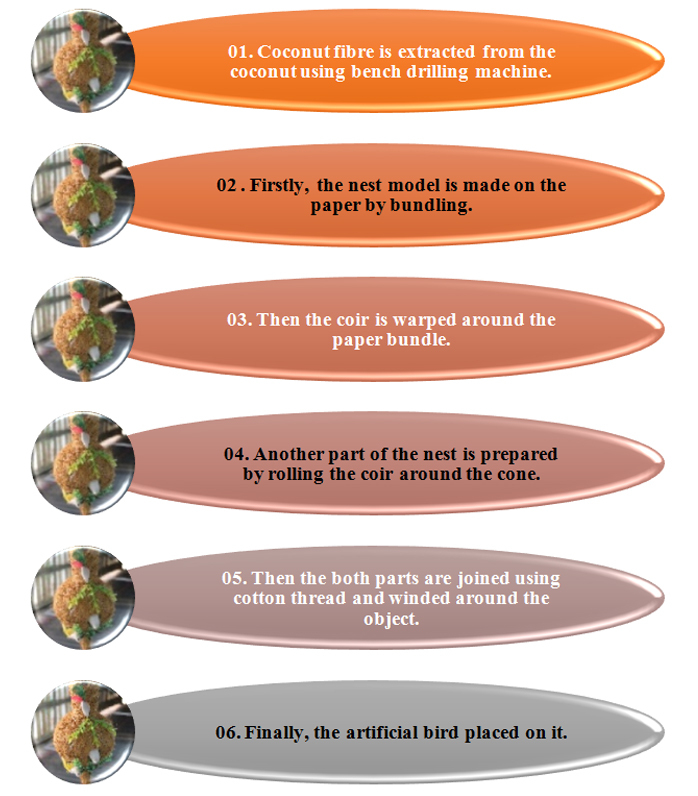 The coconut fiber is extracted from the coconut using bench drilling machine. For making nest, firstly the design is to be finalized and made on the paper. Different parts are made by different people and then all parts are assembled together with the help of thread. 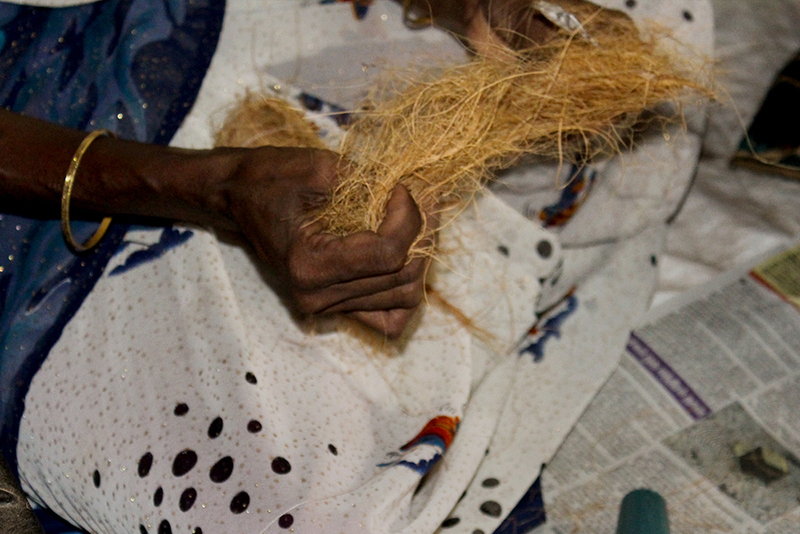 For nest making the paper is bundled like nest and then the extracted coir is warped around the paper bundle. Another part of the nest is prepared by using empty cone. 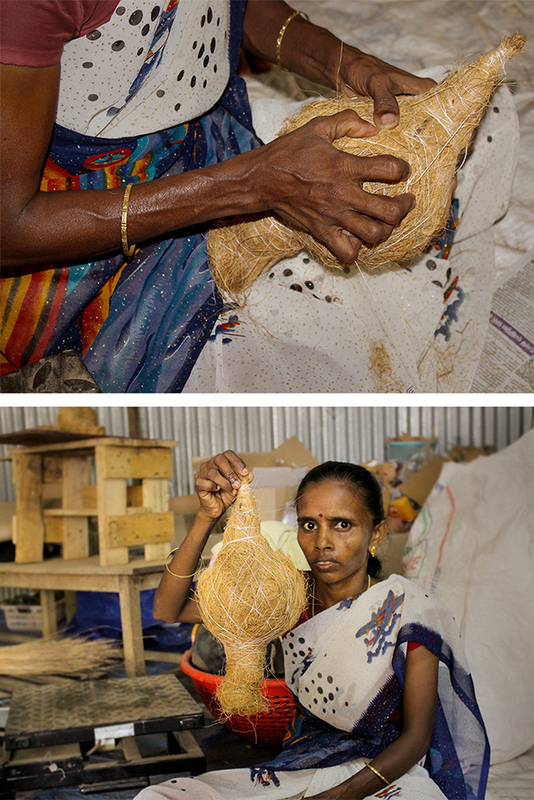 The coir is warped around the cone and then the cone is taken out. Then the prepared part is joined using cotton thread. 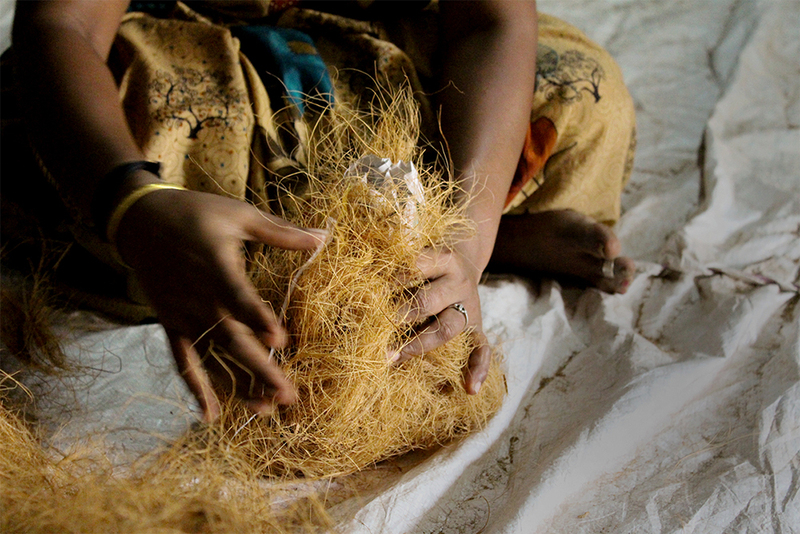 The cotton thread is winded around the whole object. 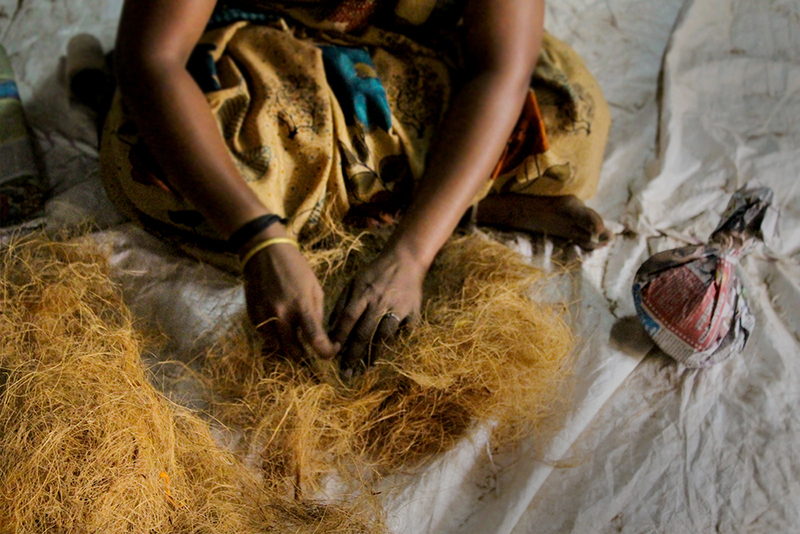 Then the extra coir is cut out from the object. 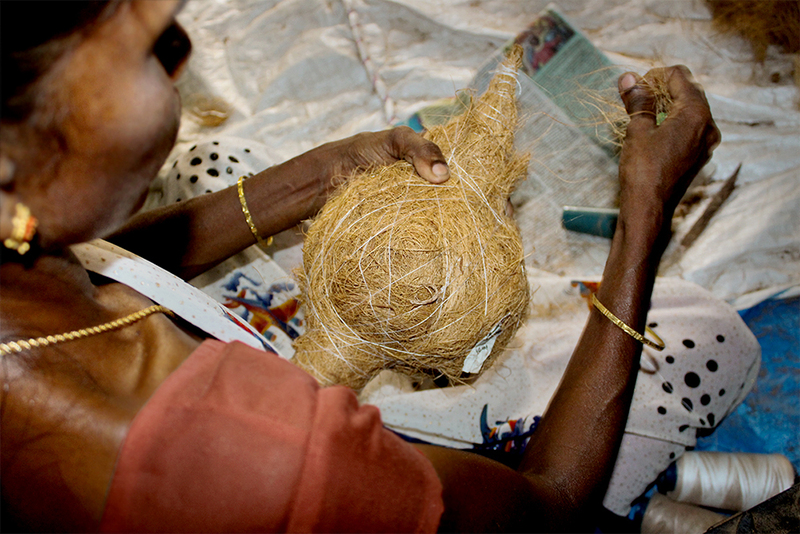 Once the nest making is completed the artificial bird is placed on it.